Selecting a good remodeling contractor is not an easy task and it’s not always as simple as choosing the lowest priced bid for your project. An “apples to apples” comparison is not easy to make, but you can make it fair when you give everyone the same list of expectations. Also, there are a number of things that can vary substantially from contractor to contractor, for example, the quality of their work, what they include and don’t include in the contract, and if they have a professional looking website that displays photos of their work and references from their clients. Does the contractor do quality work…do they pay attention to the details? Will they cut corners that might affect the quality of the job? How would the contractor deal with any changes that may come up during the job? Will they charge reasonable or higher rates for those changes? Will they accommodate your needs during the construction process…for example, protecting your furniture and cleaning up after themselves? Will they follow-up with things you need them to do (punchlist) after the job is completed? Is the estimator the one who also does the work? Does the contractor hire sub-contractors that know what they are doing? 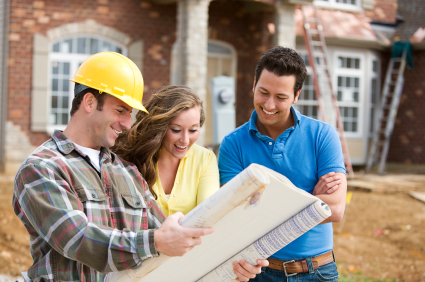 Most important, is the contractor licensed, bonded, insured and up to date with state mandated continuing education? It is in your best interest as a homeowner to be looking for the most value for your money, not necessarily the lowest price for the job. If you hire a contractor that has the lowest price but does substandard work, you’ll end up paying more in the long run.